Deep Carpet & Rug Cleaning Services Mossley SK15 | Quality Property Care Ltd. Using a professional carpet and rug cleaning company, and using its services routinely is a very good idea, especially if you or somebody in your family suffers from pollen or dust allergies or has respiratory problems. 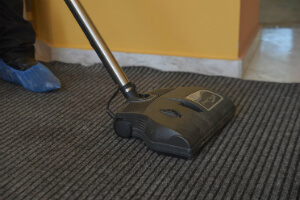 The quantities of dust mites, dirt, dust and germs in our carpets and rugs are actually quite alarming, so don’t wait to hire Quality Property Care Ltd., which offers a prime quality rug and carpet cleaning service in Mossley SK15 and the area. The rug and carpet cleaning company can also offer: blinds cleaning, curtain cleaning, drapery cleaning, as well as bed bug mattress treatment and mattress cleaning , which will help get rid of the dust mites, allergens and kill off all germs. The firm delivers residential and commercial carpet and rug cleaning at a competitive rate. To get a free price offer in less than 2 hours, just call up the expert customer care support or use the on-line form. The modern carpet cleaning Mossley SK15 techniques are now accessible and affordable ! Meet Quality Property Care Ltd. - the supreme professional rug cleaning company with TEN years of experience in the field and with various solutions for rug stain and spot removal. Our trustworthy carpet cleaning firm in Mossley SK15 has adopted the general standards in rug and carpet hygiene maintenance. However, in addition to these, we usually tend to progress and advance. Get in touch with us to make a reservation for our carpet cleaning service in Mossley SK15 right now! Steam carpet cleaning: hot water extraction procedure with maximum effect on dust and bacteria inside the fibres. The procedure is suitable for manufactured materials. Book anytime by calling 020 3746 4287 or submitting a booking form on our web site. Get in touch with us with no hidden fees and any commitments.